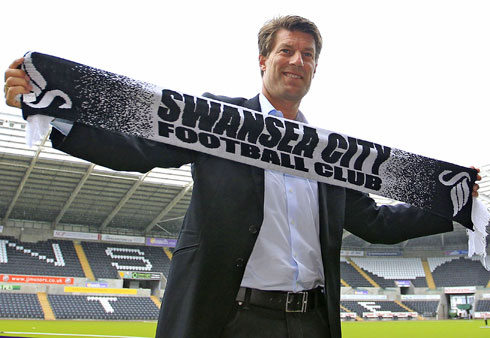 Swansea boss Michael Laudrup signed a new one-year deal with the Welsh side. The Dane has put an end to the transfer speculations linking with a move to Real Madrid, Chelsea and Manchester City, by extending his deal with Swansea, which will keep him at the club until summer 2015. Swansea seem to be thriving under Laudrup, having won their first major trophy in a spectacular fashion by thrashing Bradford 5-0 in Capital One Cup final at Wembley. The win allows the Swans to play in Europe next season. They are also sitting comfortably in the eighth place in Premier League table, which means they will continue playing in the top-flight for a third consecutive season.